... & where`s Guy Fawkes when you need him ? 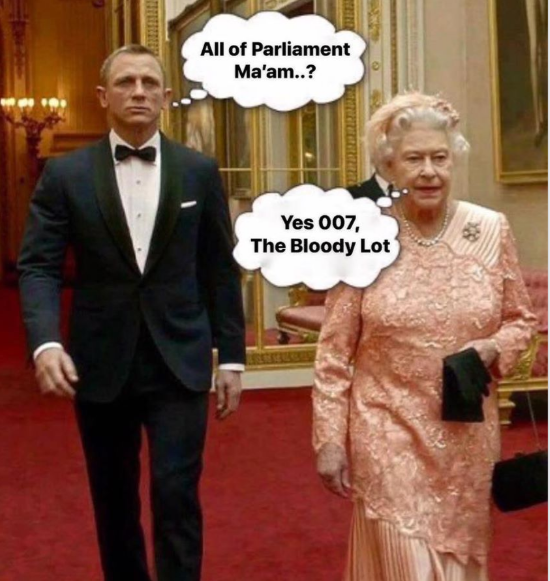 Unfortunately, parliament doesn't have the last say anymore, the unelected eurocrats do. Surely, irrespective of any economic arguments, taking the power away from the eurocrats is a good reason for leaving the eu. MPs are not perfect but at least they are elected. MPs are not perfect but at least they are elected. But that doesn't make the MPs any more democratic than the unelected eurocrats. They are, all of them, trampling on the truly democratically expressed will of the people. Dictators I say! One wonders how many "referendums" they are planning to hold until they get the result they want! !